Streets are not only indicators of locations, directions, and addresses but they are also signposts to history and our culture. Their names identify and give permanence to places, describe the characteristics of environs and honor events and persons of significance—living and dead. 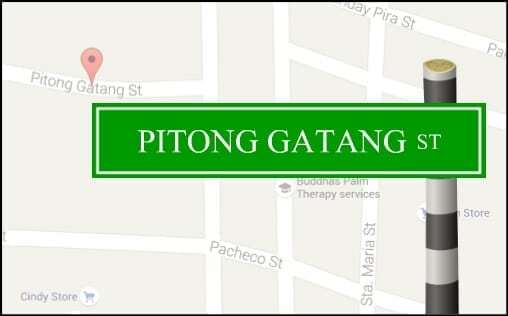 Here is a list of the most interesting street names one can find in and around Manila. Tirso Cruz St. (Tondo). 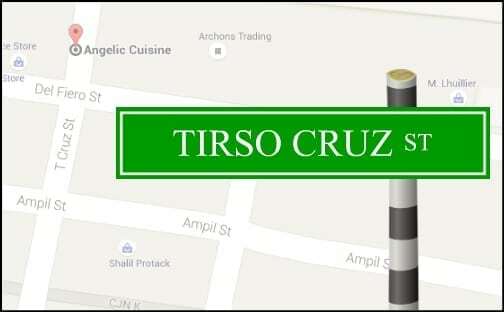 This street with a showbiz name pays tribute to the most popular band leader of the Manila Hotel in post-war Manila—Tirso Cruz, who also composed the popular song “Mabuhay.” He is the grandfather of 1970s teen star, Tirso Cruz III. Photo from the Center for Bulacan Studies. Serrano Laktaw St. (Quezon City). One would think—as the name suggests—that this was the street that people skipped, for some reason. 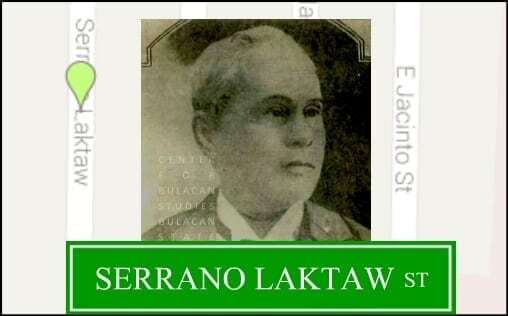 However, the street was named in memory of the first Filipino to finish a teaching degree from the Normal School of Salamanca—Pedro Serrano Laktaw (October 24, 1853 – September 22, 1928). This native erudite was known to be the only Filipino teacher in history to tutor Spanish King, Alfonso XIII. 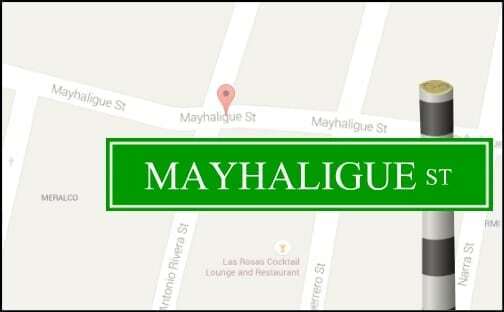 Mayhaligue St. (Tondo). 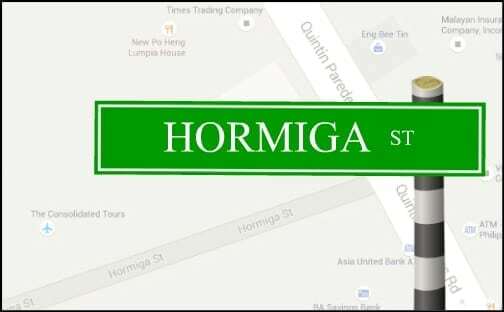 The posts (“haligi”) that this street name is referring to are the ancient wooden pillars of the Moro fortifications erected to protect pre-Hispanic Manila. The street was believed to have been built in 1764. Photo Credit: Keystone View Company/John Tewell via Flickr. Lubiran St. (Sta. Mesa). 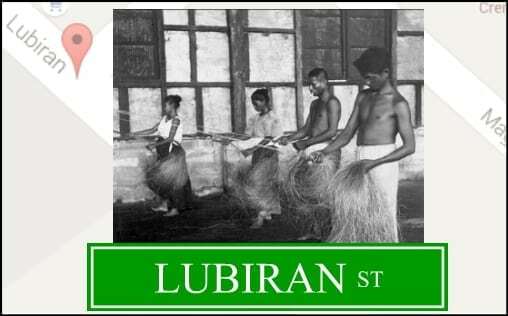 The name is derived from rope makers—who twisted and turned Manila hemp (abaca) into “lubid”. Most of the rope factories built by the Americans during the Occupation were clustered on this road. 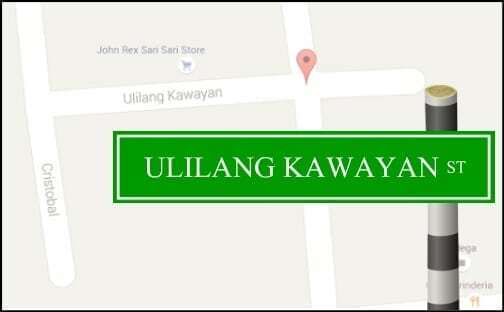 Ulilang Kawayan St. (Paco). Filipino term for “lone bamboo.” An old barrio of Paco—San Lazaro—was totally razed by a big fire saved for a lone bamboo that residents found still standing after the conflagration. Angalo St. (San Nicolas). In Tagalog mythology, Ang-ngalo was a giant who raised the roof of the world by building mountains. Another legend has him using his leg as a bridge so that people could transport bags of salts from one island to another. However, Ang-ngalo rested his legs on a nest of ants. As people were crossing, his legs began to itch. He shook his legs, causing people to fall down with their salt bags into the sea—which explains why sea is salty. 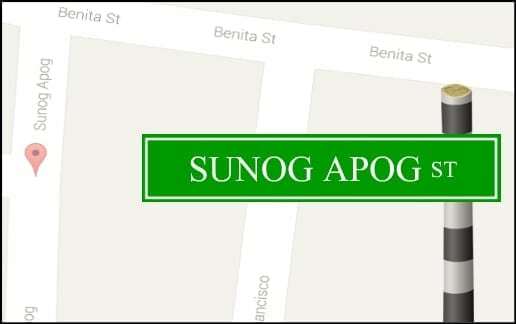 Sunog Apog St. (Tondo). Filipino for “burnt lime”. In the olden times, the place was where natives burned seashells to make lime, which was used as a binder for constructing stone buildings. A street with a related name is nearby—Calero St.—lime kilns, in Spanish. Chief Quipuha Statue in Guam. Photo Credit: Janine via Flickr. Kipuja St. (Sta. Cruz). 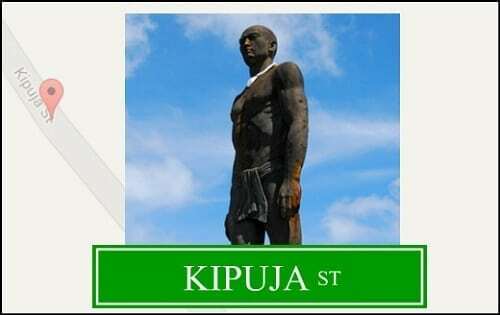 A localized name honoring Kepuha (also spelled Kipuhá or Quipuha), chief of Agana (Hagåtña), Guam who was friendly to the Spanish missionaries who ministered in the Marianas area in 1668. 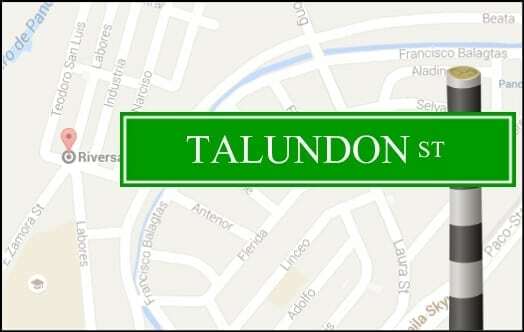 Talundon St. (Pandacan). A diminutive of “Talon doon,” a reference to a place which oldtimers say was used as a jumping point of divers to practice their fancy leaps and dives. 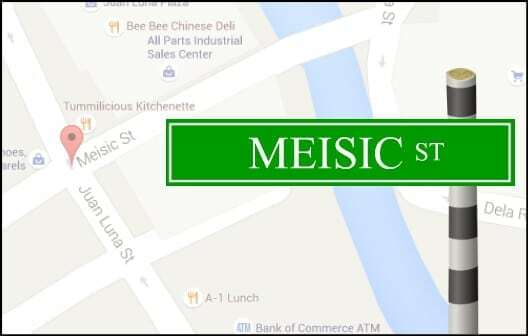 Meisic St. (Binondo). Old Binondo was the bastion of rich Manila Chinese, hence, “may Intsik”—which was corrupted to Meisic. A premier learning institution—Meisic School—was located in the area. Kusang Loob St. (Sta. Cruz). 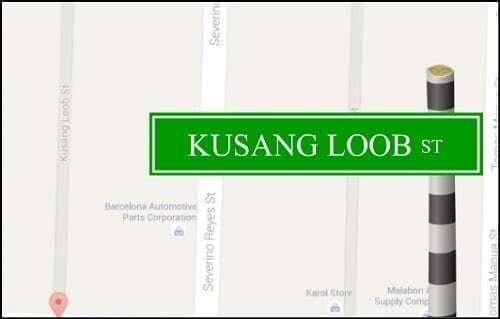 The street was so named to remember the generosity of an affluent resident who donated a piece of his land for government use, which he freely gave “of his own accord”—or “kusang loob” in Filipino. 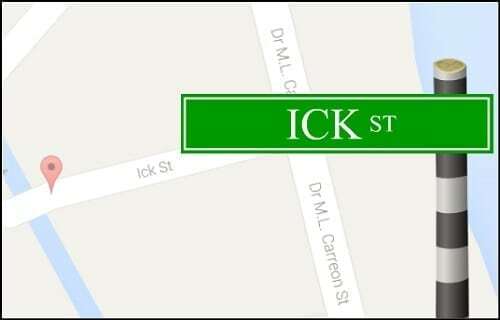 Ick St. (Pandacan). A German merchant marine who came to the Philippines before World War II gave this street its name. Arriving in Masbate, Hans Wilhelm Ick married local lass Vicenta Romero and brought her to Manila. In that Pandacan area, they raised a family of 9 children. After the war, the Icks donated the street on which they lived. 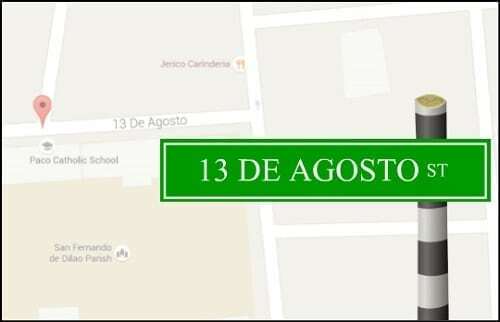 13 De Agosto St. (Paco). The date, August 13, was once a holiday known as Occupation Day, during the American colonial period. It marks the month and day of the fall of Manila in 1898. Banaag at Sikat St. (Tondo). 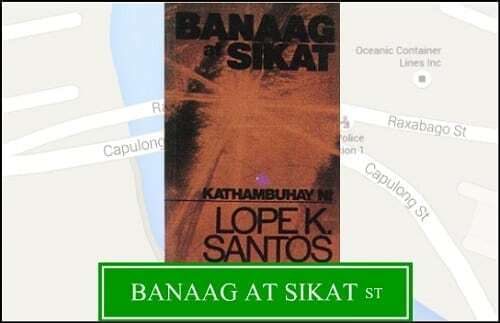 Named after a 1905 novel of Lope K. Santos serialized in the newspaper, “Muling Pagsilang.” “Banaag at Sikat” (Glimmer and Light) was a socialistic novel known for its beautiful exposition, narration, and description unmatched by any novel in Filipino, English or Spanish. Von Granao St. (Sta. Ana). During the 1932 around-the-world flight of aviator Wolfgang Von Gronau on board his Dornier flying boat, he made a stopover in the Philippines. 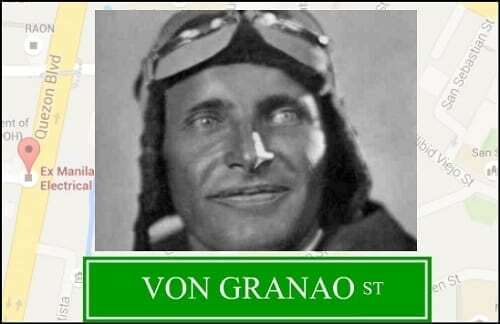 For his feat, a street was named after him (although misspelled as ‘Von Granao’) and a stamp was issued to mark the historic occasion. He made a 2nd visit in 1943, this time as head of a German military mission that conducted inspections on Japanese bases in the occupied Philippines. 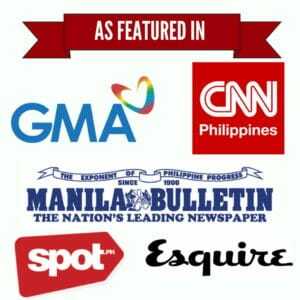 Daluyan: A Historical Dictionary of the Streets of Manila. (2006). Manila.